Garmin echomap - Fish with the Power of CHIRP. It�s time you started fishing with the power of CHIRP sonar and Garmin CHIRP SideV� and Garmin CHIRP DownV�, the clearest scanning sonars on the water. Garmin 7xxx series - Designed for sportfishermen, cruisers, sailors and sailing racers who demand high performance, ease of operation and feature integration in a chartplotter/sonar combo. Built-in dual CHIRP sonar plus CHIRP DownV� and CHIRP SideV� scanning sonar with the clearest images on the water and much more. 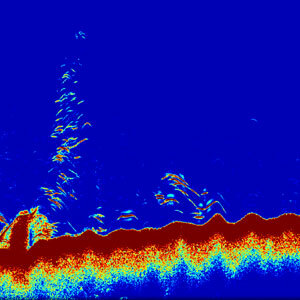 CHIRP is the most sophisticated sonar technology available for use by the fishing and boating public. The word itself is an acronym for Compressed High-Intensity Radiated Pulse. Standard sonar sends 1 single frequency at a time. Since the only feedback is from this 1 single frequency, there is little information to work with, limiting the clarity and resolution available with standard sonar. Instead of sending just 1 single frequency, CHIRP sends a continuous sweep of frequencies ranging from low to high. CHIRP sonar technology then interprets frequencies individually upon their return. Since this continuous sweep of frequencies provides CHIRP with a much wider range of information, CHIRP sonar is able to create a much clearer, higher resolution image. 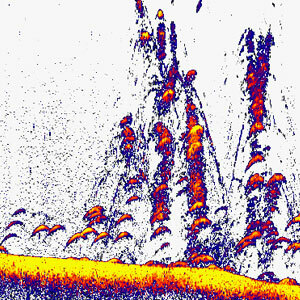 Traditional sonar that is available on Garmin fishfinders. 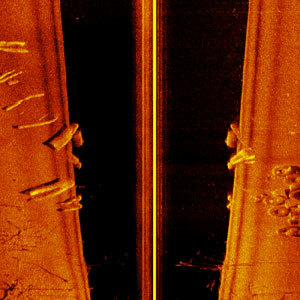 HD-ID sonar transmits two frequencies, generally either 77/200 kHz or 50/200 kHz. 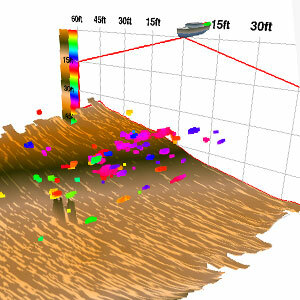 Our echoMAP and GPSMAP chartplotter/sonar combos have Traditional HD-ID sonar built in. Panoptix� all-seeing sonar is unlike anything you�ve ever seen on the water. Use the Panoptix Forward or Down transducer with a compatible Garmin GPSMAP unit to see all around your boat in real-time. You can see fish in the water column in 3-D. You can also see your bait cast into the water and watch it as you reel it in. You can see fish swimming in front of or below your boat. You can even see them chase your lure. But to truly appreciate Panoptix, you have to see it. 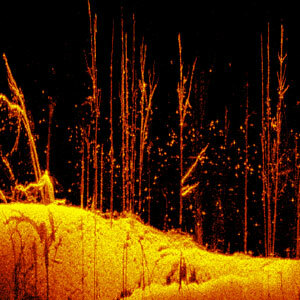 This high-frequency sonar gives you a clearer picture of what's below your boat, by producing a more detailed representation of objects, structure and fish. DownV� with CHIRP technology takes it one step further, producing an ultra-clear page with even more detail. DownV� scanning sonar is built into our echoMAP combos, and DownV� scanning sonar with CHIRP technology is built into our GPSMAP combos. SideV� shows you what is happening to the sides of your boat. An excellent way of finding structures and fish. SideV� with CHIRP technology provides an even more detailed and higher resolution image of what is beneath the surface. SideV� scanning sonar is built into our echoMAP sv combos, and SideV� scanning sonar with CHIRP technology is built into our GPSMAP combos. 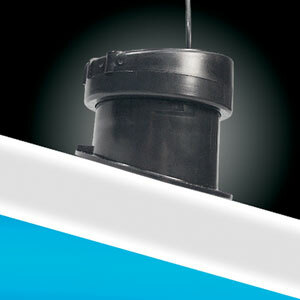 is installed inside a boat hull against the bottom and sends its signal through the hull. is attached to the back (transom) of a boat hull. is installed in a hole drilled thru the hull. 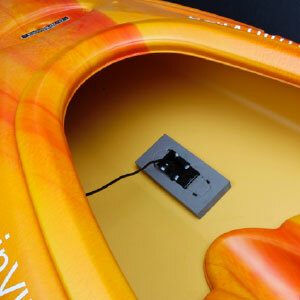 attaches to the inside of a kayak, against the bottom and sends its signal though the hull. A stepped hull contains a notch (or step) that runs crosswise across the boat hull and helps the boat generate more lift at higher speeds. 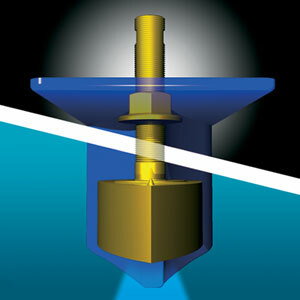 If transducer is mounted after the notch, the notch creates cavitation and will interfere with sonar returns. 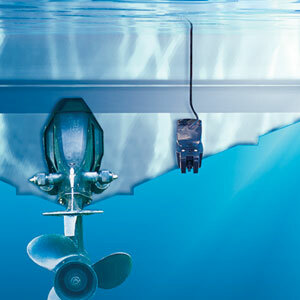 For this reason, the transducer should be mounted in front of the notch, closer to the front of the boat. A cored hull refers to a hull with a void between the 2 layers of hull material. Sonar cannot transmit through that void.